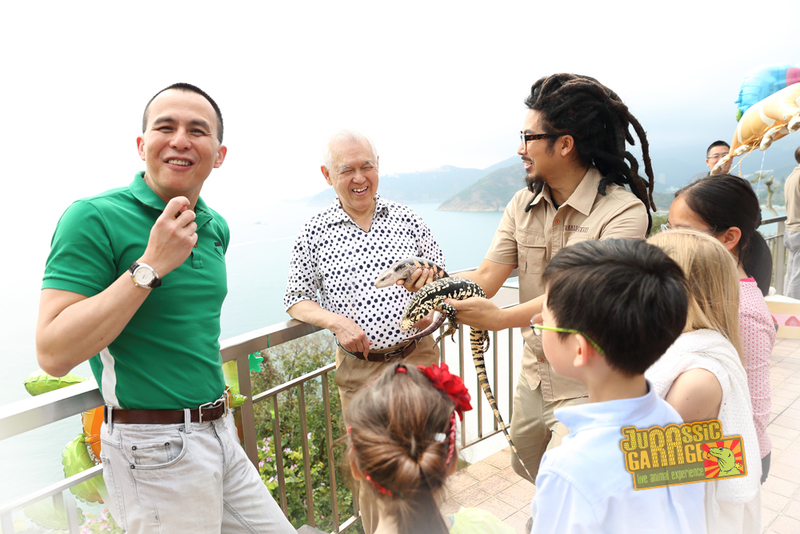 Herpetologist and conservationist Goatee Toni has been invited by many schools to perform professional wildlife education in the past 13 years. Kellett, CDNIS, FIS, AISHK, NAIS, ISF, IMS, Woodland, many ESF’s and a few local schools, just to name a few. 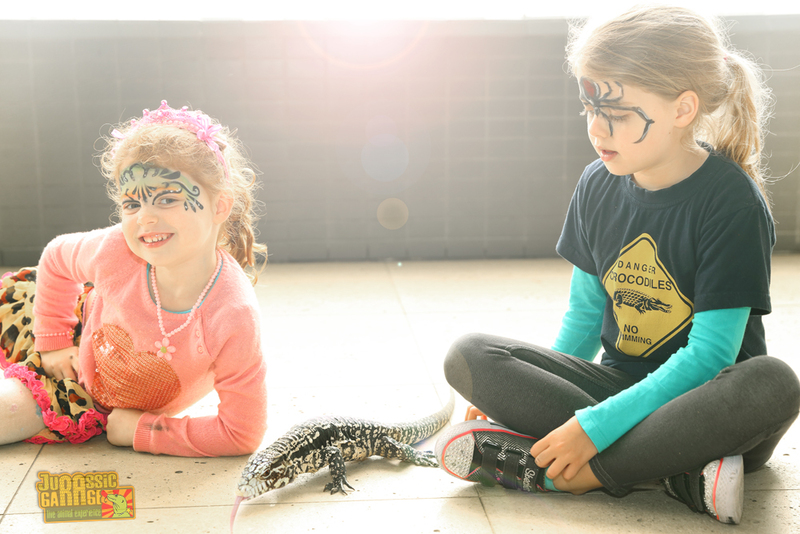 Carefully chosen animal ambassadors represent their own species for students to understand the natural facts of how they live in the wild. 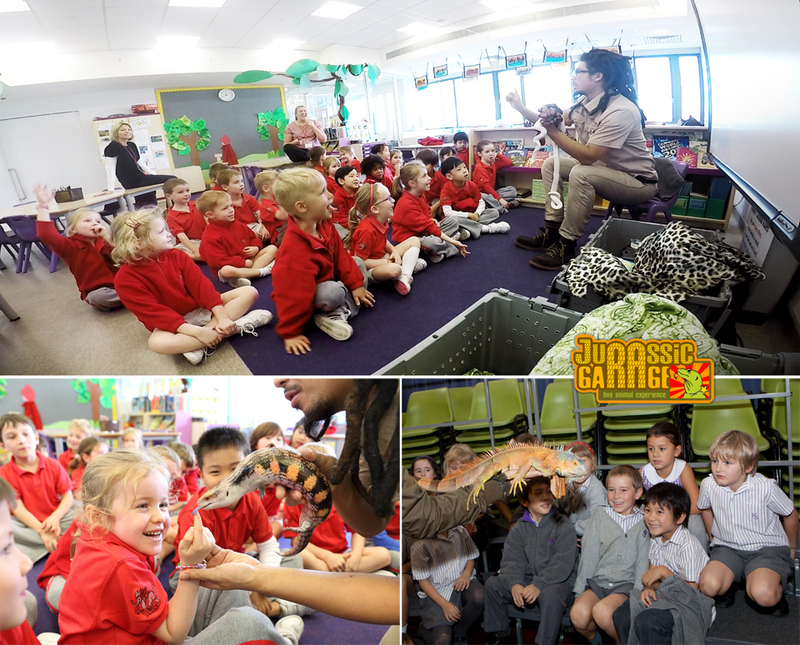 If you’d like your kids to gain such an amazing, hands-on and unique learning experience, please ask the year head or relevant teachers of your kids’ school to book Jurassic Garage! See who’s in our party? We specialize in animals, but we also have professional face painters and photographers in our team! Here is a Sky Garden party at Queens Garden, 9 Old Peak Road. 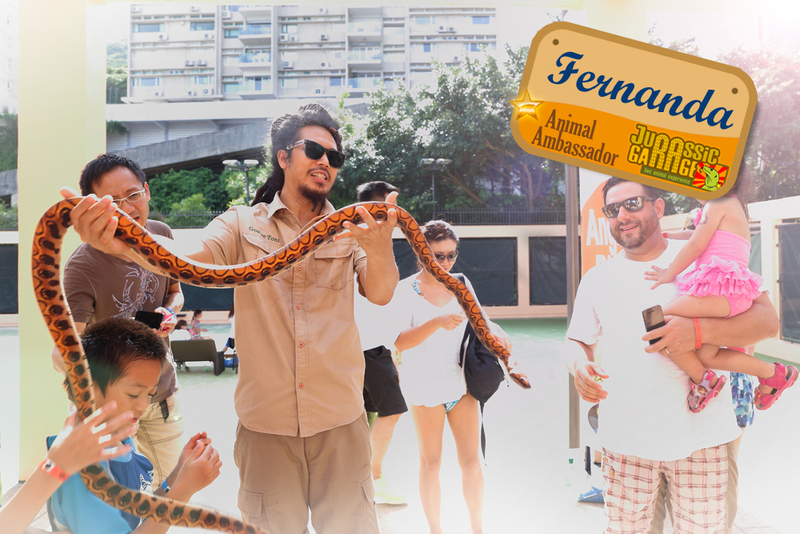 One of the most beautifully patterned snakes in the world, Fernanda is definitely a unique attraction in our shows! It took us many years to have her grown up to a nice 6-footer from a tiny little baby. Something very interesting about these snakes is that they don’t lay eggs! Babies are born alive! Have you met Fernanda yet?